It’s time for Darwin Day! 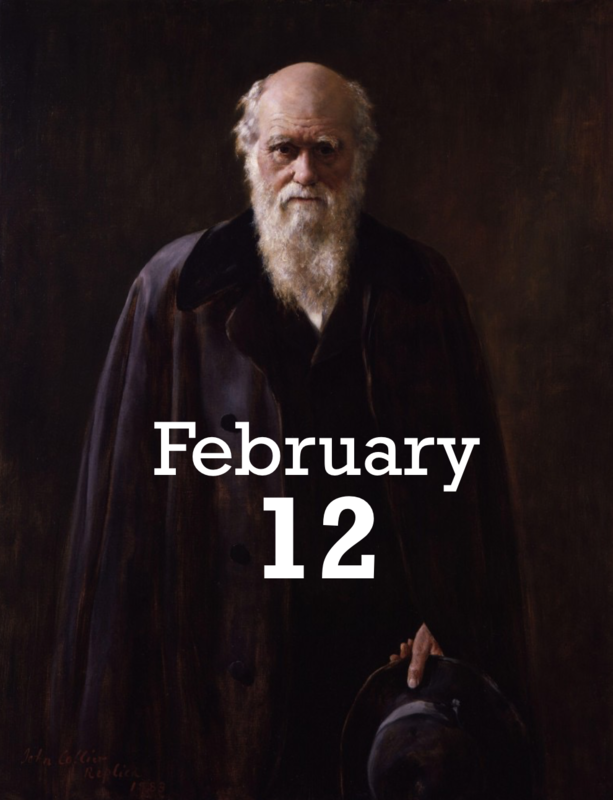 On his birthday anniversary, February 12, the father of evolutionary theory is celebrated all over the world. But it is not only about history of ideas and biology as a research area – it is also about defending a rational world view, based on observation, data collection and scientific analysis. Charles Darwin was the one who first understood and documented the process of evolution based on genetic variation and natural selection. He provided a unifying theory to all of biology and also presented humanity with a breakthrough in the essential ideas on the nature of things and our own place among living organisms. 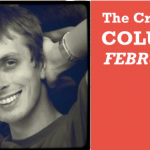 Darwin Day celebrations honor the discovery and intellectual bravery of Darwin, and are meant as acclamation of reason and the scientific method. A variety of outreach and education events is held across the world’s educational institutions and museums: from lectures, displays and symposia to comedy stand-ups and birthday parties. See darwinday.org/events/ to see if there is an event near you! Such initiatives are perhaps especially needed in the United States, where more than 40 % of the population believe that God created humans in their present form. The creation-evolution debate present in the media is not a scientific dispute, but rather a cultural and political phenomenon. It has been animated by Christian fundamentalists spreading misinformation about scientific findings, manipulating the media and attempting to bring their views of denying evolution as legitimate science into public education system. However the scale of the phenomenon suggests that American science education largely fails to teach critical thinking and to convey the notion that science is a method of discovery rather than merely a collection of facts. If you have creative ideas about promoting the understanding of evolution among the public, The European Society for Evolutionary Biology offers funds for such projects through ESEB Outreach Fund. Below are two projects funded in the past! 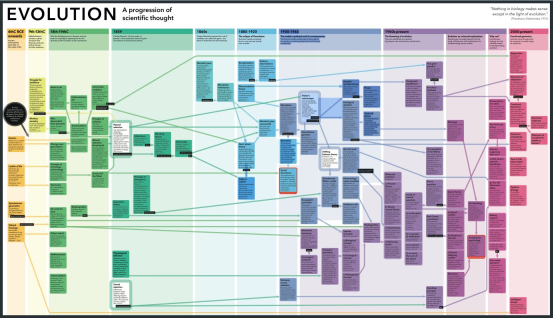 A wonderful infographic of the history of evolutionary thought, by Tania Jenkins, Miriam Quick and Stefanie Posavec. 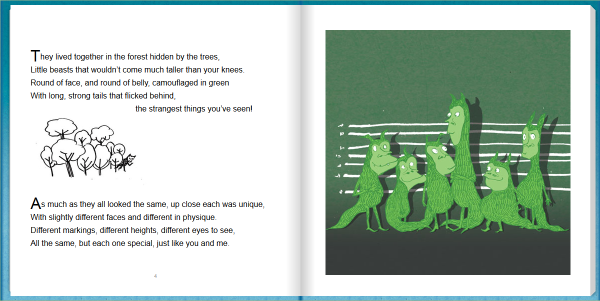 An ingenious, beautiful children’s book by Tiffany Taylor explaining the mechanism of species diversification with illustrations by James Munro. Dorota Paczesniak is a biologist interested in evolution of genetic diversity and reproductive modes, and an enthusiast of various aspects of visual communication. I'm a biologist interested in diversity on various organization levels and the evolution of reproductive modes; currently researching asexual plants. I'm also an enthusiast of creative science communication e.g. through words, games and art.